Shinzo Abe’s economic policies had a great year in 2013 but challenges lie ahead. On the final day of trading 2013, Japanese shares closed with an annual gain of 57 percent the highest ever since 1972. That this occurred this year is no coincidence – Shinzo Abe’s three-pronged strategy for Japan’s economy dubbed “Abenomics” is working. For now. After Japan’s “lost decade” puzzled economists for years, Shinzo Abe in his second term as Prime Minister, with Bank of Japan Governor Haruhiko Kuroda, demonstrated that Japan hadn’t in fact tried everything in its economic toolkit. The surge in Japan’s equity markets this year was largely driven by a renewed inflow of foreign capital, bullish on the prospects of Abe’s economic policies. Fortune hasn’t been kind to Japan in recent years – the nascent signs of economic recovery in 2008 were dashed by the housing bubble bursting in the United States that turned global finance topsy-turvy. Japan suffered a 0.7 loss in real GDP that year and faced a catastrophic contraction in 2009 when it suffered a staggering 5.2 percent loss in real GDP. After the DPJ came to power, poised to turn Japan’s economic fortunes, there was little in the way of an economic breakthrough as the Bank of Japan refused to behave boldly. 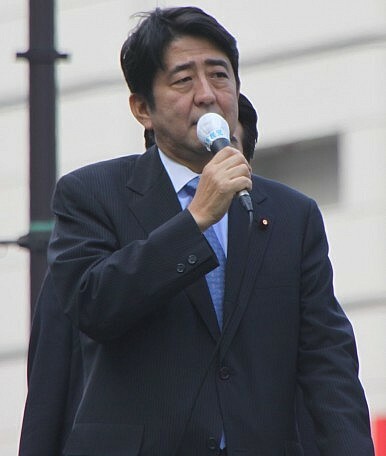 After the Tohoku Earthquake and the ensuing disaster at Fukushima in March 2011, Prime Ministers Naoto Kan and Yoshihiko Noda were left as economic lame ducks, ultimately leading to Abe’s return at the end of 2012. If Abenomics succeeded in 2013, its success may likely have been a fluke. After Abe appointed Kuroda, the pair set out into uncharted waters, determined to bring Japan back on top. Abenomics emblematizes the sort of Keynesian demand side approach to macroeconomic policy that was long necessary in Japan but either political unfeasible or perceived as too risky. As someone who intermittently visited Tokyo twice a year for the past three years, Japan’s economic transformation is palpable and frankly remarkable given the time frame. That the yen’s depreciation against the U.S. dollar (around 25 percent in 2013) jump-started consumer spending can’t be denied. As we head into 2014, Abe and Kuroda’s policies will be tested by a host of factors. Most concerning for investors is the looming April sales tax rise of a hefty 8 percent (by Japanese standards). One can fully expect the consumption tax rise to take a bit of the steam out of Japan’s seemingly unstoppable demand machine of 2013. Additionally, Kuroda will have to respond to the U.S. Federal Reserve’s tapering of its own quantitative easing program with a certain degree of monetary virtuosity – ultimately, the BoJ may be forced to choose between unemployment and inflation. A troubling trend in 2013 is the spiraling of tensions between Japan and China, amplified in the final months of the year with China’s declaration of its East China Sea air defense identification zone (ADIZ) and Abe’s visit to the Yasukuni Shrine. Abe’s determination to “bring Japan back” is rooted in his nationalism – that China surpassed Japan to become the world’s second-largest economy in 2010 stung deeply for Abe. As I opined earlier, war or a major political crisis between Japan and China remains a real possibility even if both sides would face massively deleterious economic consequences. China has formalized a sort of ban on dialogue with Abe in response to his latest Yasukuni visit and high-level diplomacy between Japan and China seems to be a thing of the past. Ultimately, while it may pain Abe to acknowledge, Japan’s position vis-a-vis China will have important economic consequences. 2014 will prove to be a challenging year for Abenomics, but 2013’s successes could position Japan to weather the uneasy terrain ahead. Despite what Shinzo Abe might say, the coming year will be the true test of whether Japan is truly back. Japan's Economic Prospects in 2016The Great De-Privatization: From Japan Inc. to Inc. JapanJapan’s Elections: A Vote For AbenomicsPost-Brexit, What Are the Geopolitical and Economic Consequences for Asia?Is Abenomics Going Global?